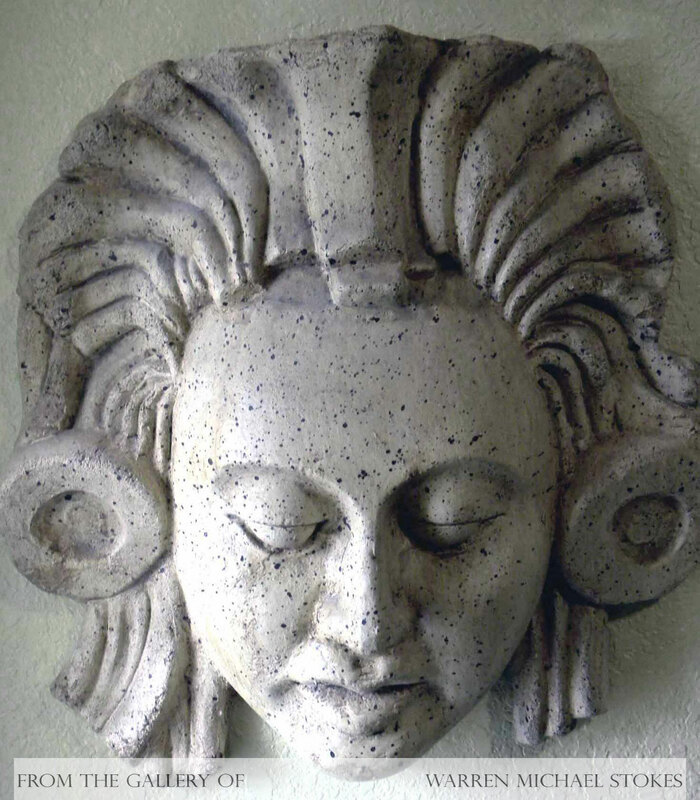 Today, what we know about ancient Mayan city of Palenque we know because of decades of excavations and research. In 1945, Alberto Ruz Lhuillier a Cuban born scholar was placed in charge of the Palenque excavations that were being carried out by the Instituto National de Antropologia y Historia. As things turned out , they were very lucky to get him. Almost from the start Ruz took an interest in the Temple of Inscriptions. The temple was a very imposing structure that stood on top of a high terraced pyramid. Ruz's curiosity had been alerted as he realized that the walls of the temple appeared to continue beneath the flagstone floor. In the center of the room was an enormous stone with two rows of circular holes drilled around its edges. Ruz decided to raise the drilled stone on a hunch that something may be hidden beneath. The instant the workmen lifted the stone the outlines of a narrow stairway appeared. However, the passageway had been filled with centuries of rubble and heavy rocks. The task of removing the rubble was amazingly difficult in the oppressive heat and humidity. In addition, fumes from the excavators gasoline powered lamps made digging for long periods impossible. After three years of digging, Ruz had only managed to find two jade earplugs in a small masonry box, but he would not stop digging. Then, in 1952, his men tunneled about seventy-three feet into the heart of the pyramid when they broke into a corridor. Here they found a cache of artifacts that were meant for a ceremonial offering. Excited by their find, they now turned their attention towards a second massive wall that was blocking the passageway. The wall turned out to be more than twelve feet thick. Once through, they discovered a crypt containing six badly decomposed bodies. Ruz concluded that they had been sacrificed so that the ruler would be guarded and attended in afterlife. Next, Ruz found a doorway sealed by a large stone. Then, after removing the great stone they discovered a burial chamber. The entire room was filled with a great carved stone slab coffin or sarcophagus. The stone slab was twelve feet long and seven feet wide, and it sat in the center of the burial chamber. The chamber had vaulted ceilings and it was twenty-nine feet high and thirteen feet wide. Adorning the walls were nine human figures made of stucco relief. Ruz had jacks placed under all four corners of the five ton stone, and inch by inch the excavators moved the massive stone upward. Before long, they were surprised to discover another, smaller inner cover seven feet long and thirty inches wide. Then, once the stone had been lifted to a height of fifteen inches Ruz squeezed inside. There in the coffin he found green jade ornaments, red painted teeth, bones, and fragments of what remained of a mask. Ruz was startled by his find, he said, “There I was gazing at the death face of him, after all this stupendous work-the crypt, the sculpture, the stairway, the great pyramid with it's crowning temple-had been built.” The corpse had fingers, ear plugs, a necklace, and a headdress made of jade. There was a small jade stone in his mouth, it was there so that he would have money in the afterlife. Even his magnificent mask was jade mosaic.